A new venture - children's clothing! Save a christening gown a few years ago, I haven't made any children's clothing. I saw this Oliver and S pattern and went crazy over it. I actually had to find a little girl to make the dress for! Thankfully it all worked out because my husband needed a thank you present for his coworker. I couldn't photograph this too well because I couldn't hang it up - my hangers were all too big! 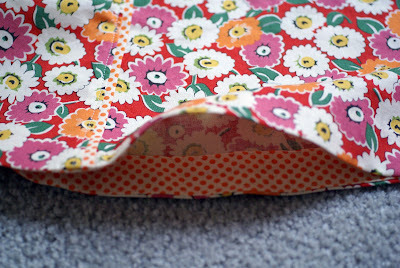 A peek at the hem facing. 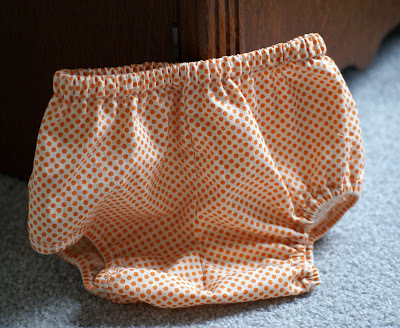 The bloomers - so cute! 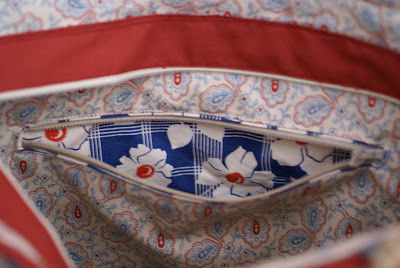 The patterned fabric is from Moda. The plain pink is from the evil Joanns. The pattern was a dream to work with. I like that it's so versatile. This could be a jumper in colder weather! Oliver and S's fall patterns are out - head on over and take a look! 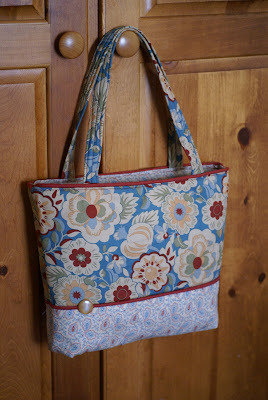 My grandmother's birthday was Sunday so of course she needed a bag! I'm in the midst of making some for my etsy shop. Yeah! I'm also in the midst of redesigning le blog, (this look is not staying). That will be sometime soon! I love the fabrics you picked out for your dress. I bought that pattern too - I HAVE to make it! Thank you for that link, they have great stuff there! 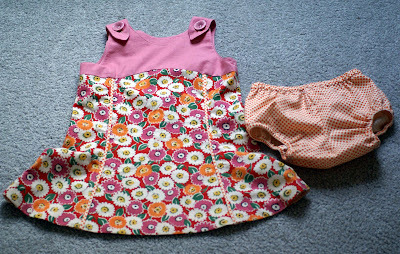 The little dress turned out so cute, the recipient will be quite thrilled to have it. Great job! *PLEASE* start selling your bags!!! LOL I love that one!! Those patterns are so adorable! 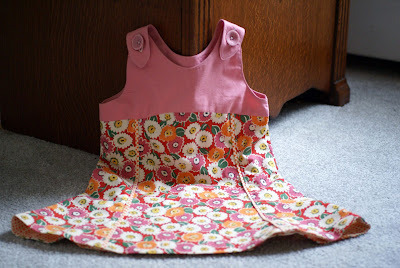 I love the little dress that you made, and I'm sure your husband's coworker will love it, too! Keri, will you please stop by my blog? Please accept an award there! I am loving that dress. I just had a baby girl and so have only just started thinking about making clothes. This would be great to try and make. Great fabric choice as well.